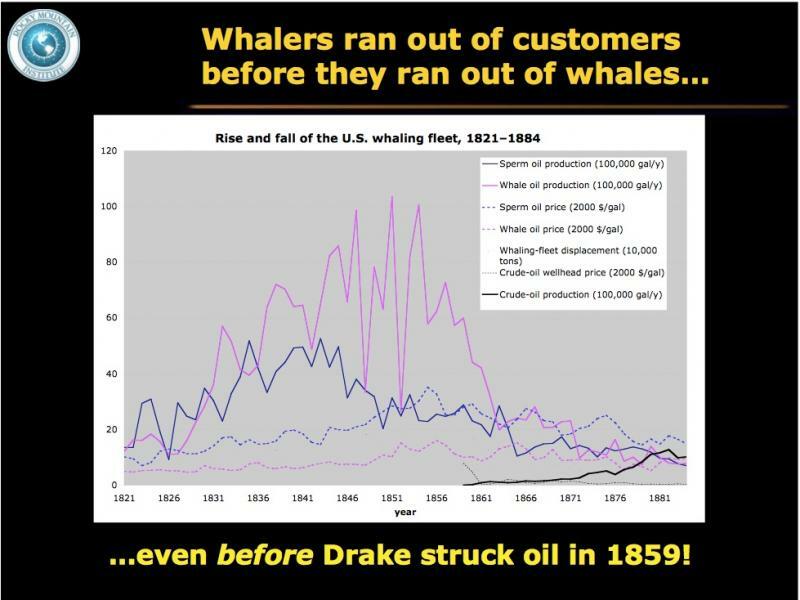 What do Big Oil and whale oil have in common? According to Amory B. Lovins, Chairman and Chief Scientist of The Rocky Mountain Institute, Big Oil is soon to follow whale oil’s downward trajectory toward extinction. At this year’s Ceres Conference 2015 for sustainable business, Lovins challenged big businesses to rethink the outdated belief that investing in fossil fuels remains the safest way to get rich (dolphins, seabirds, and humanity be damned). At first look, Lovins appears to be a nerdy, middle-aged scientist in a suit, but within minutes of hearing him talk, it becomes clear that he’s actually a brilliant revolutionary. Lovins’ message hasn’t changed much in the four decades he’s been doggedly trying to get the world to embrace renewable energy, but he’s accumulated more data to prove his point to a host of unlikely converts, from Communist China to Arab Sheiks and presidents of companies like Texaco. Even if you don’t give a damn about the environment, Lovins makes the case that you’d be economically foolish to not invest in renewable energy, because green technology is today what the discovery of petroleum was to the whaling industry. 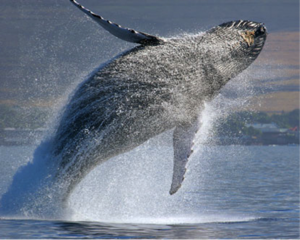 In 1850 oil from the whaling industry lit most homes. Yet, only nine years later, Edwin Drake, an ex-railroad conductor, hit the first oil well, ushering in the oil rush and the end of an entire whaling industry. Even prior to Drake’s discovery of oil, coal and kerosene began to replace whale sperm oil, because they were more affordable and efficient—just as today, hybrids, electric vehicles, and biodiesel are beginning to replace gas guzzling cars and trucks. Lovins teaches us history in order to wake us up to the notion that renewable energy isn’t just good for the planet, but it’s foolish, bad for your pocket-book, and naive to ignore the obvious: alternative energy and advanced technology vehicles (and renewable energy sources in all sectors) are becoming more affordable and better for national energy security, and they’re creating a huge influx of new jobs. Lovins understands that big money, big companies, and the governments of big countries don’t respond to abstract arguments about values or future doom—they respond to cost and consumer demand, hard facts. These are points that even Republicans can get behind. While our government remains too paralyzed to collaborate across party lines, Lovins is a bridge-builder between unlikely coalitions. In 2005 Robert C. McFarlane, Ronald Reagan’s National Security Advisor wrote in The Wall Street Journal, the “Rocky Mountain Institute [is] a respected center of hard-headed, market based research. This research suggests that lack of consumer demand may bring the oil industry to its knees. While this seems impossible to believe now, while gas-guzzling minivans are still the norm in many parts of North America (and the world), Lovins sheds light on all the places where the tides are turning. From the Zip car and the explosion of shared car services now available in cities like San Francisco, to the electronic bicycles in China, to Uber and Google’s self-driving car, he shows us the trend emerging away from single-family cars toward a different kind of ownership model: a rental model, a bus-bicycle-walking model. If you look around San Francisco today, bike rentals are all the rage; parents are biking kids to school in all kinds of fancy two-wheel contraptions that you’d never have seen 20 or 30 years ago, when we were all being driven around in clunky old Chevys and Fords. Big auto companies today are following Europe in producing smaller cars, lighter-weight electric vehicles, as governments from Europe to the U.S. are offering financial incentives for citizens who buy environmentally friendly vehicles. They’re recognizing that the millennial generation is more interested in new tech, car-sharing apps, and living a simpler more eco-friendly lifestyle. Lovins and The Rocky Mountain Institute are dedicated to bringing the US and China into leadership roles by driving down world CO2 emissions 34% by 2050. Unless the two biggest polluters on our planet take the helm in this fight, Lovins knows we cannot win. With RMI collaborating with environmental thinkers and Chinese leaders, China is speeding ahead in its embrace of new sustainable technologies. Did you know you can rent an EV car from a vending machine? Or that entire cities are now being planned around bike lanes, electric scooters, walking paths, and human interaction, rather than highways? Already, China has solved some of its traffic and pollution dilemmas with public transit and bike-sharing programs forging a new model for overcrowded cities. For those who wake up and weep over the proliferation of bad environmental news that batters us daily, Lovins’ message is enough to make even the worst pessimists hopeful. He dares to envision a world that is free of fossil fuels by 2050. Think this sounds impossible? Amory Lovins will find a way to prove you wrong.